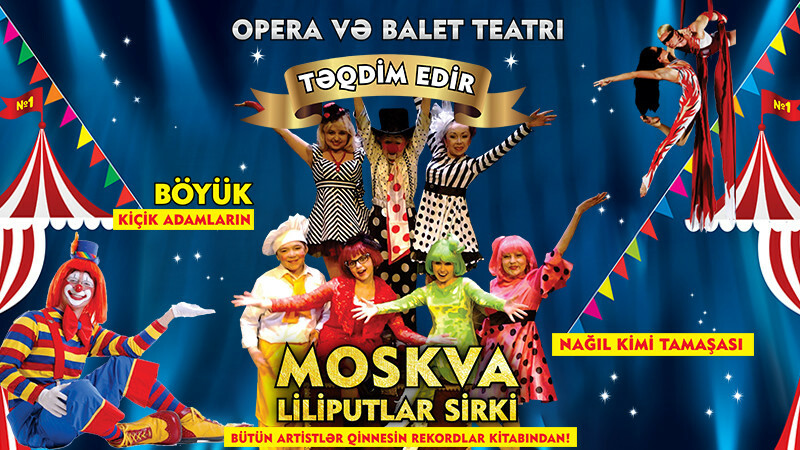 Liliputlar Sirki in Azerbaijan State Academic Opera and Ballet Theatre buy tickets online. Delivery of tickets for the event Liliputlar Sirki. This is the Soviet circus where your parents brought you! That one Unique circus in the world, Moscow Circus Lilliputians! Every artist of this famous circus listed in the Guinness Book of Records as the shortest people on the planet! Amazing performances of small stars will delight not only children, but also their parents, as well as grandparents !! After all, the little heroes of the show will show us a real kind of circus without animals. Give yourself and your family a magical performance by visiting our Big Fabulous show of little people! We are waiting for you, our Gullivers !! !